TEDxMahtomedi is a local event sharing "ideas worth spreading" in the spirit of world-famous TED Talks. Part of a global network of TEDx events, it was started by community members in 2013. TEDxMahtomedi is organized by Mahtomedi Area Community Education, Century College, City of Mahtomedi, and citizen volunteers. Numerous local businesses and civic groups provide financial and logistical support to help make the day a success. TEDxMahtomedi was first held at the Mahtomedi High School Black Box Theater in April 2013. The theme for the event was "What If?" Presentations offered a variety of perspectives on the changing face of the Mahtomedi area and how we might shape a positive future for our community. The next two events were held at Century College. 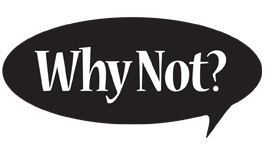 The 2014 program was "What Next" and the 2015 program was titled "Why Not?" In 2016, the event was held at The Dugout and the theme was "Digging In!" Check out the links in the "thought bubbles" for previous years presentations and photos! TEDxMahtomedi 2018 will be held Sunday, October 28, 2018 3–8 pm at White Bear Unitarian Universalist Church, 328 Maple Street in Mahtomedi, Minnesota. TEDxMahtomedi 2018 is sold out. Email info@tedxmahtomedi.com if you'd like to be notified when videos are available.